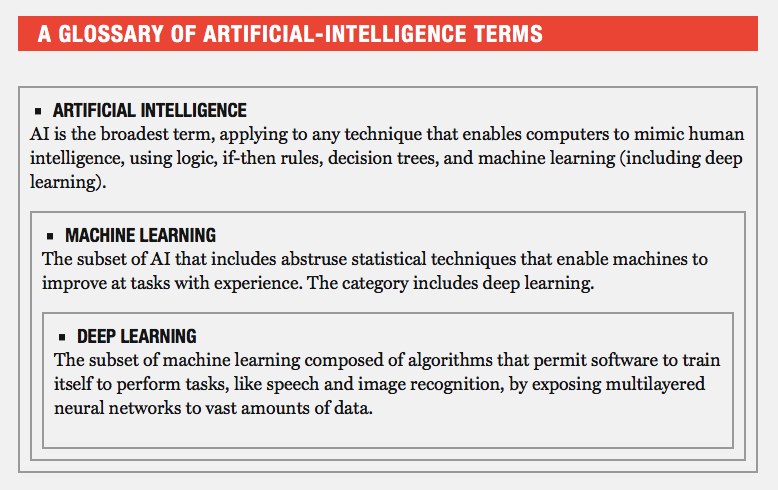 Here, the relationship between AI, machine learning and deep learning are put in perspective as shown in the following table. 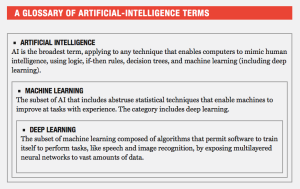 This article also includes a helpful timeline to illustrate the long history of technical development, from 1958 to today, that have led to the modern technology of deep learning. 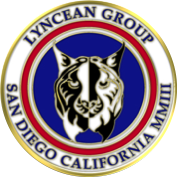 As noted in both articles, we’re seeing the benefits of deep learning technology in the remarkable improvements in image and speech recognition systems that are being incorporated into modern consumer devices and vehicles, and less visibly, in military systems. For example, see my 31 January 2016 post, “Rise of the Babel Fish,” for a look at two competing real-time machine translation systems: Google Translate and ImTranslator. In 2007 she launched ImageNet, assembling a free database of more than 14 million labeled images. 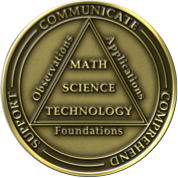 It went live in 2009, and the next year she set up an annual contest to incentivize and publish computer-vision breakthroughs. The combination of these technologies has resulted in very rapid improvements in image and speech recognition capabilities and performance and their employment in marketable products and services. Typically the latest capabilities and performance appear at the top of a market and then rapidly proliferate down into the lower price end of the market. I believe the first Teslas in Australia incorrectly identified kangaroos as dogs. Within days, the Australian Teslas were updated remotely with the capability to correctly identify kangaroos. Actually, I think there’s more to the story of what potentially is beyond the demonstrated capabilities of deep learning in the areas of speech and image recognition. 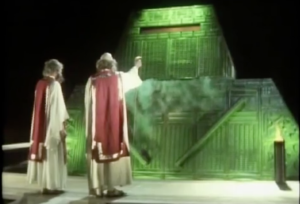 If you’ve read Douglas Adams “The Hitchhiker’s Guide to the Galaxy,” you already have had a glimpse of that future, in which the great computer, Deep Thought, was asked for “the answer to the ultimate question of life, the universe and everything.” Surely, this would be the ultimate test of deep learning. In case you’ve forgotten the answer, either of the following two videos will refresh your memory. In a stand-alone robot, the space and power needed for advanced computational resources compete with the space and power needed for everything else that makes up the robotic device. 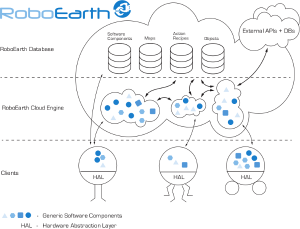 Concepts being developed by the four-year RoboEarth project, a European Community funded program that created an open source platform for cloud robotics, are pointing the way to placing computationally-intensive robotic applications and related “big data” resources in the cloud. With adequate bandwidth for high-speed communication between the cloud and the distributed robotic devices in the field, the robots themselves can be simpler and less expensive, while gaining performance and cognitive advantages from having a significant fraction of their computational requirements off-loaded to the cloud. 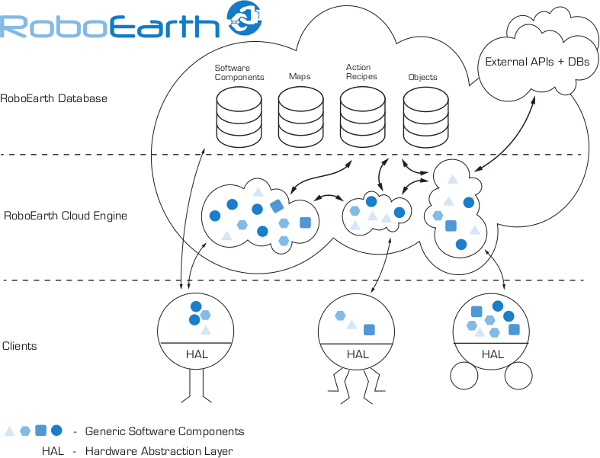 A simplified view of the RoboEarth network architecture is shown in the following diagram.